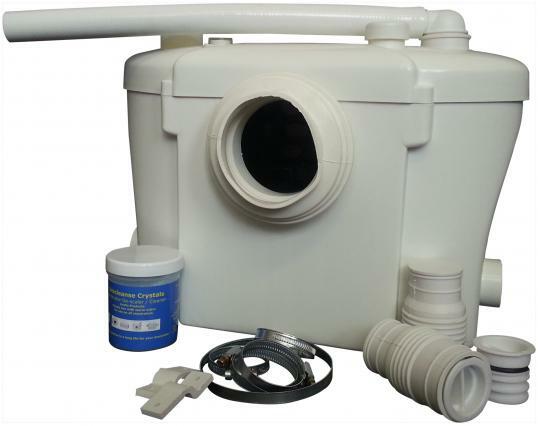 Uniflo Flush 4 Macerator Pump, a practical, efficient and versatile macerator pump, the Uniflo is the perfect choice for homeowners looking to add an en suite, bathroom or utility room to their property. Well built and elegantly designed, the Uniflo Macerator Pump is discreet enough to fit inconspicuously into your bathroom or utility room, allowing you to create a space that is both stylish and practical. 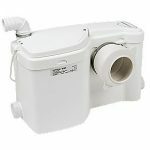 Made from high quality components, the Uniflo Macerator Pump has a standard WC inlet, a top left inlet and a further two low level inlets that are designed to accommodate other bathroom fittings, such as showers and bidets. Any of these inlets can be blanked off if they are not required, making the Uniflo Macerator Pump ideal for a variety of installations. 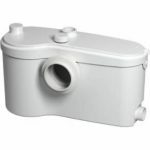 As the Uniflo Macerator Pump isn’t suitable for use with baths, it’s perfect for homeowners looking for an affordable and practical macerator pump for an en suite or utility room. What’s more, as the Uniflo Macerator Pump is fully automatic, it will kick in whenever it’s needed, effortlessly discharging the waste and water from your home. Boasting non-return valves as standard, the Uniflo Macerator Pump can be installed with 32mm, 28mm or 22mm pipe work. 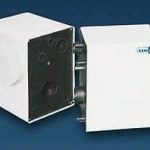 The unit also comes complete with a 400w motor and a well designed internal system, ensuring that it will remove the waste from your bathroom or utility room quickly and efficiently. For the best results, make sure the Uniflo Macerator Pump is installed by a trained professional and connected to compatible products. 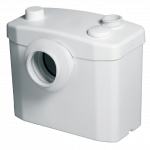 The unit may not be suitable for use with some models of older washing machines, so ensure that you check the Uniflo Macerator Pump is right for your home before you buy. As we have years of experience dealing with macerator pumps and everything that goes with them, we can help you find everything you need to make your dream en suite, utility room or bathroom a reality. With our fast delivery times and low prices, you can be confident that your new, great value unit will arrive quickly and in perfect working order. To find out more, get in touch with one of the friendly members of our team or take a look around our website.